Starting from 2017, TWO (2) fellowships will be awarded. This is an exchange program between APSS and SICOT. 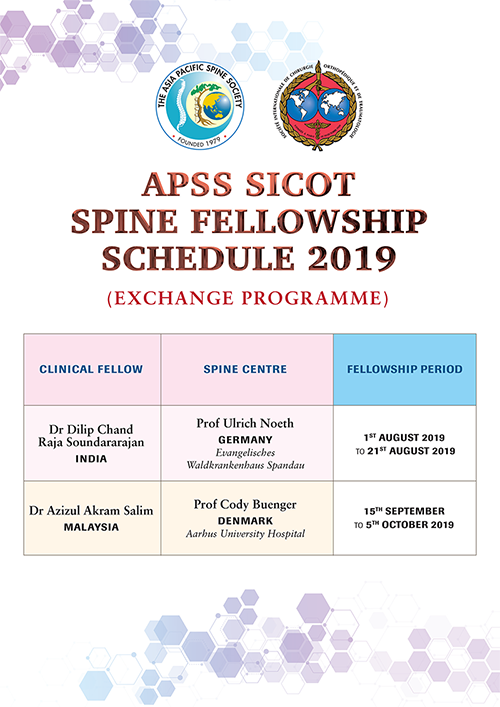 Fellows from SICOT will join APSS DePuy Synthes Travelling Fellowship while fellows from APSS will join the SICOT Spine Fellowship. Each fellow will spend 3 weeks in a spine centre of excellence of SICOT. This is a unique opportunity to interact with and learn from renowned spine surgeons in Europe.